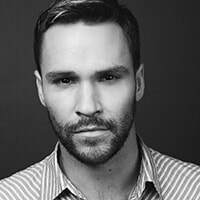 ​Nick Lazzarini’s multifaceted dancing abilities have leveraged his career within the United States and abroad. Nick is the season one winner of the Fox reality show So You Think You Can Dance, and has been featured in countless publications, including the cover of Dance Spirit Magazine twice. He has performed with music sensations such Adele on Dancing with the Stars, Kelly Clarkson at this year’s American Music Awards and Florence and the Machine at The MTV Video Music Awards. Currently, he teaches on tour for JUMP Dance Convention. Nick is a founding member of the Los Angeles based dance company Shaping Sound.